Mt. 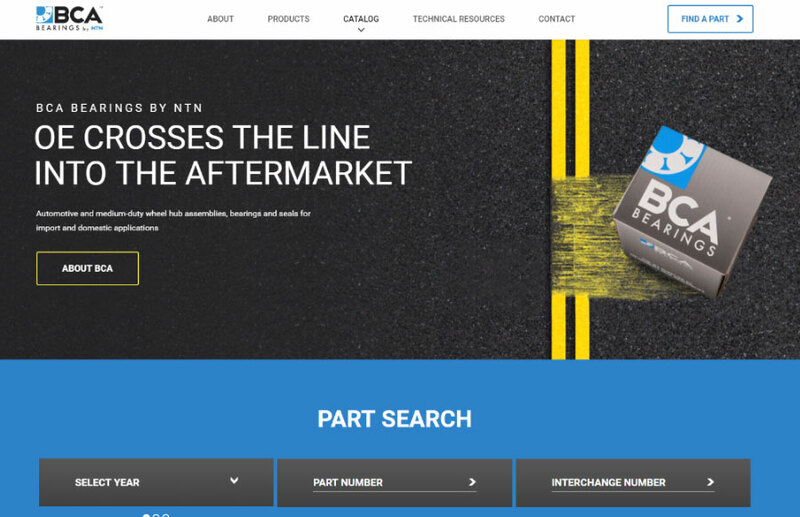 Prospect, Ill. – NTN, the parent company of BCA Bearings, is pleased to announce the launch of their new website, BCABearings.com. The new website features a clean, new, responsive design, improved functionality and simplified navigation for a more user-friendly experience. The navigation menu at the top of the homepage has been updated with clearer, brand-focused headers. The sub-navigation menus that appear when you click on one of the headers of the main navigation bar have also been reorganized in an effort to make it easier for users to find the information they are seeking. One of the key features updated on the BCA website is the part search functionality. Prominently displayed on every page, the part search feature enables you to conduct a search multiple ways, making finding the BCA product you need as easy as possible. Search results display in product groups and can be filtered to show only parts for which you are searching. Once you find the BCA part you are looking for, you will have access to comprehensive specification data, as well as any resources about the part that can be found elsewhere on the website. Additionally, the website has improved responsive functionality. Whether on a computer, tablet or smartphone, the new BCA website will adapt to your device’s screen size, giving you an appealing experience no matter how or when you access it. Due to the responsive nature of the new BCA website, we will be discontinuing our mobile app, but all the information that was accessible in the app remains available on the mobile-optimized website. BCA Bearings, powered by NTN, is a long-time, trusted OE supplier to this the automotive aftermarket. Proud to be providing solutions that include the most durable bearing products you need in the industry, BCA offers a full line of wheel hub assemblies, seals, and loose bearings.